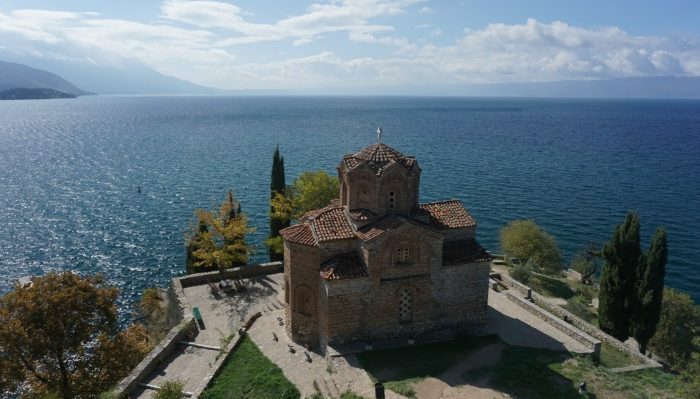 "Lake Ohrid is a UNESCO protected lake and town in South-West Macedonia. 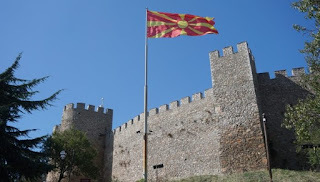 Squeezed into the border of Macedonia and Albania, it is a heady combination of crumbling villas, terracotta tiles and gigantic statues. This is a town where you will fall in love – with early morning mists hovering over the lake, with deserted castles and monasteries and with delightful, natural springs bubbling from emerald waters. I’ve put together five top things to do in and around Lake Ohrid, enough to tempt even the cold-hearted into a romantic clinch. These fabulous destinations are like a tempting vixen or charming prince, impossible to resist. 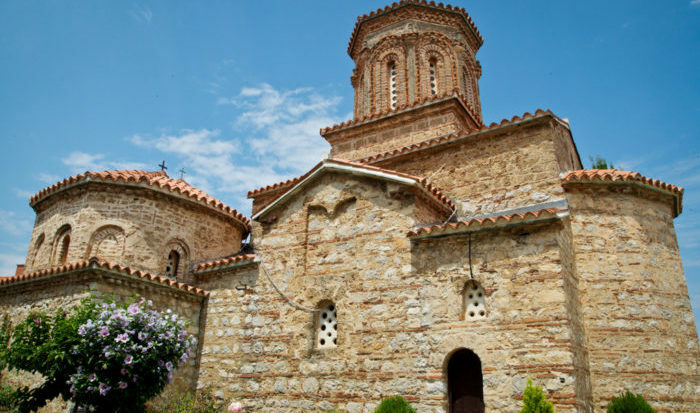 St. Naum monastery: A visit to the monastery is as much about the journey as the arrival. You feast on beautiful coastal views, and glimpses of the Bay of Bones, the President’s summer house and the only five-star resort on the lake. 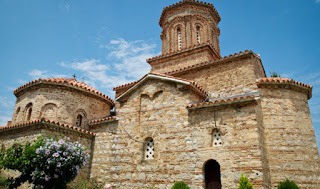 St. Naum springs. It’s silent apart from the water lapping at the hull of the boat and the oars splashing as we row slowly through the springs of St. Naum. Vivid green waters hide gurgling springs below, the main supply of lake water. We can just make out huge bubbles spewing from the ground into the cold waters like potions in a cauldron.